Love it when Garage Sales are back. Favorite activity. Funky fun stuff, shabby stuff, metal stuff. I buy what I love and share many of my finds as a reseller in an antiques mall. 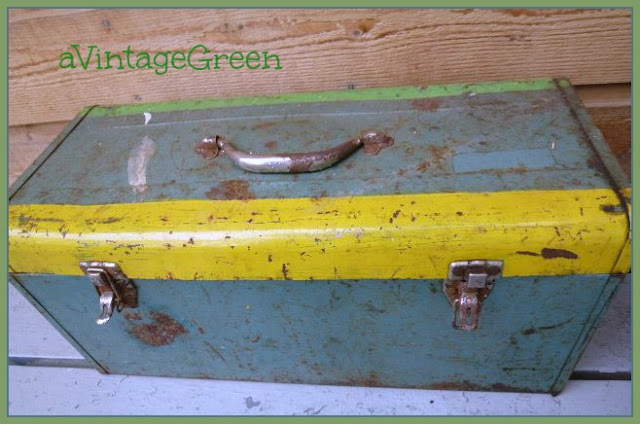 Rusty, lots of wear, covered in years of dirt, best find in metal this month - old tin lunch boxes. May has been a good month for finds. Handy little vintage aluminum coffee press. Great little wall pocket, totem motif. 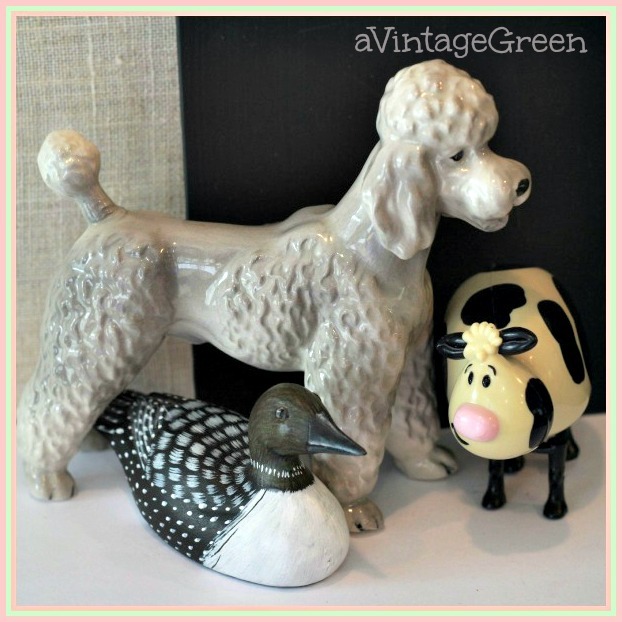 Grey poodle, plastic dispenser cow (spring is sprung) and a painted wooden loon. 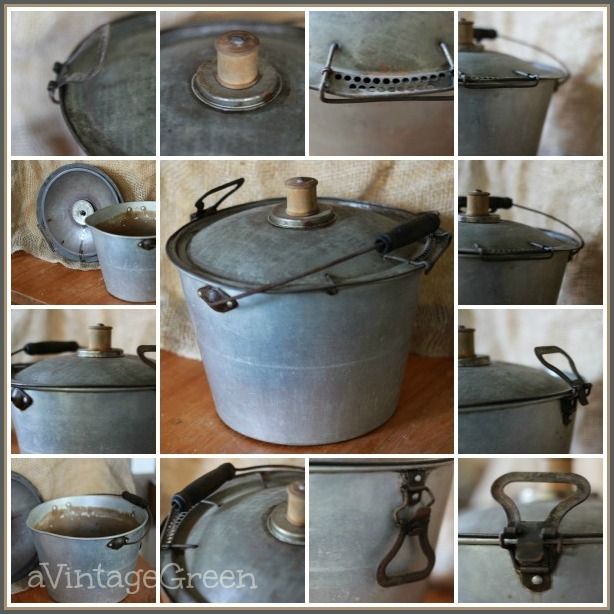 A milk feeder (for calves) vintage pail, lots of great wear and a worn vintage large spool for a handle. 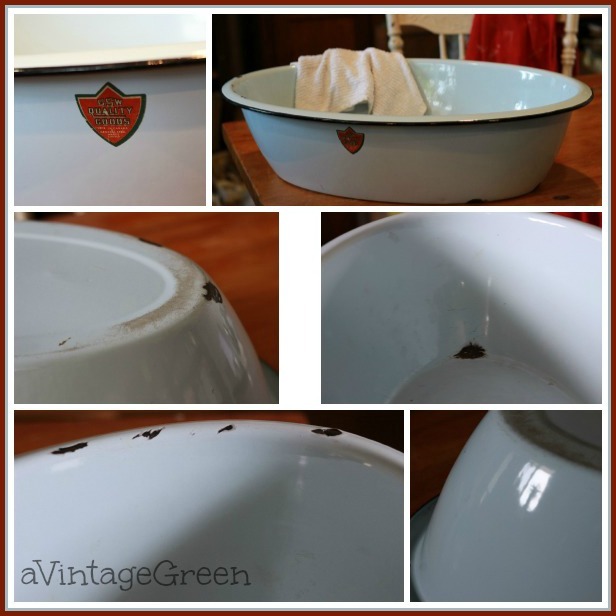 Pale blue inside, white outside, black lined vintage baby bath, great wear and dings and the label is intact. 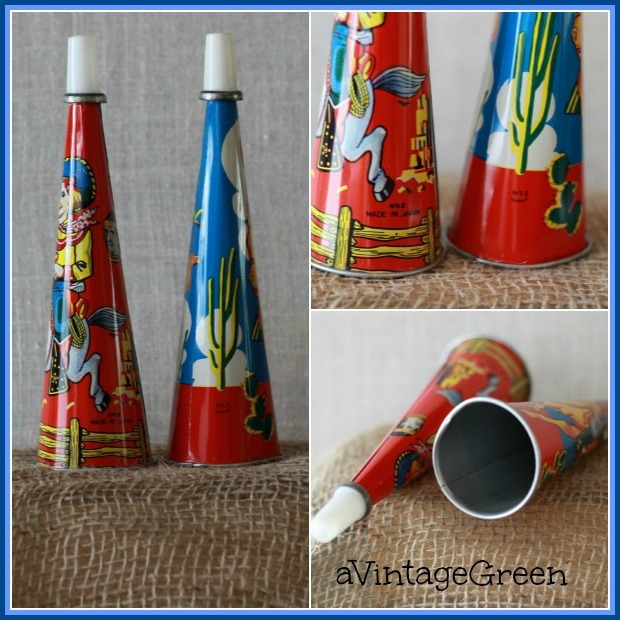 and finally, some vintage tin party horns. Great finds Joy!! I love the old rusty look. That baby bath is precious! What sweet little things! I remember getting a new metal lunchbox each year for school when I was little. I'm popping in from Claudia's! 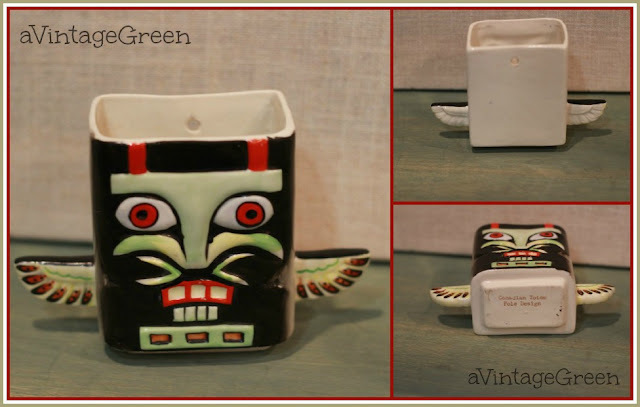 Those are some really fun finds, and I am crazy about enamel, too. Great finds! I've made a few scores but nothing like your gorgeous vintage pieces. 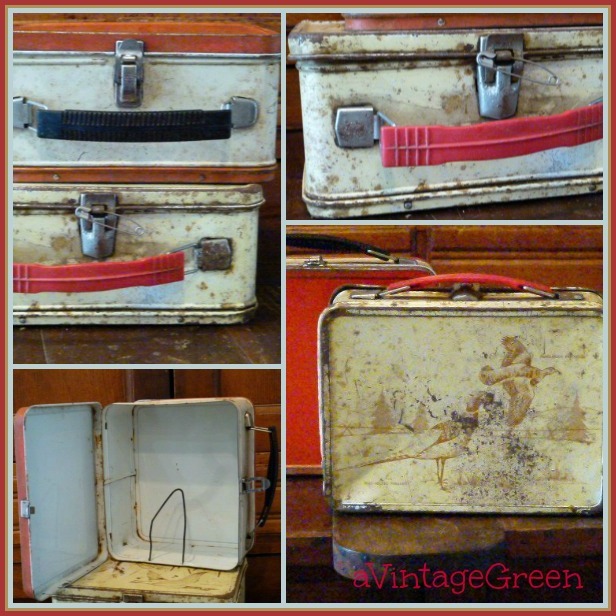 Love the lunch boxes! What treasures you found!!! I would love to tour your shop AND your home!! My favorite is the Baby Bath! But 'my' babies are now TOO BIG!!!! Love the horns and the lunch boxes! You find the best things, Joy! Wow you found some fabulous metal items! Love the horns and lunch boxes! What wonderful finds! Love the party horns! And is that a coffee mug? Does it have a cowboy design? It's beautiful! OHHHH, that poodle is beautiful! Awesome Joy! Love that toolbox...you are so lucky! My motto is The Rustier, The Better! Love that baby tub. It would make a great planter! I'm co-hosting Katherine's Corner Hop this week and wanted to come by and say Hello. You have some great finds here. I remember the old wash basins very well. I'm also your newest follower and hope you will visit my log and hopefully follow me also. I always love to see your thrifty finds. 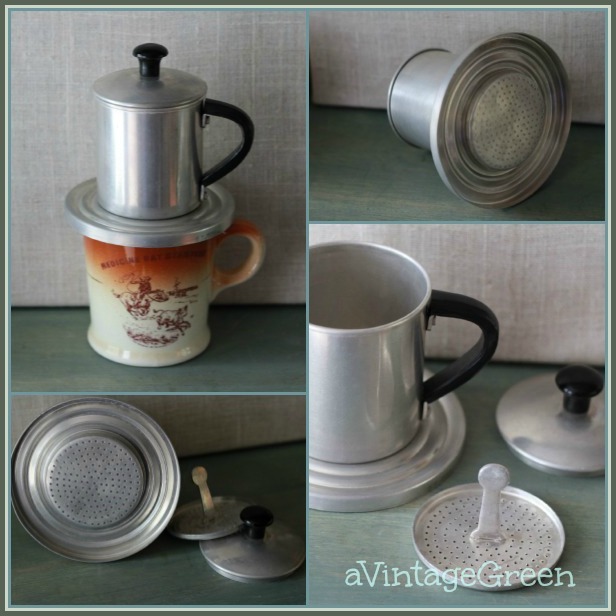 Love the vintage aluminum coffee press! Fun finds. Thanks for sharing at TTF this week.